Many Pisceans have trouble maintaining ordinary nine-to-five routines, which can lead to unemployment for some. The majority do best in artistic, nurturing, or scientific work—anything that requires inspiration or creativity. When they do find their niches, Pisceans are dedicated to their professions. This is a self-sacrificing sign, and Pisceans can work tirelessly on behalf of others in charitable, healing, compassionate, or scientific occupations. They are happiest when they are needed, and when they have opportunities to improve the lives of others, which can lead them into medical, nursing, caretaking, and animal rescue fields, or to the furthering of scientific knowledge. Pisceans are extremely sensitive to atmospheres, so a negative work environment can cause health problems. They also need time alone, so they are better suited to occupations that allow for some solitary time unless their ascendants incline them to be more extroverted than typical Pisceans. Note: The sun sign is only one aspect of an astrological profile. Many other factors play a role, including rising and moon signs. For example, a person with the sun in Pisces and Aries rising may be more inclined to choose a career such as firefighter that involves both danger and selflessness, rather than one of the less risky Piscean careers, and a Pisces with Leo rising would be drawn to the more sociable professions on the Pisces list. 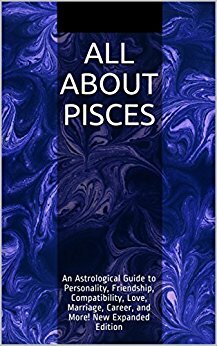 For more on Pisces, see Pisces Personality Profile, Pisces Love and Friendship Style, Famous Pisces, and Pisces Marriage and Compatibility. For a full list of astrology articles, see the main Astrology page.